Edited by Astron, 19 May 2017 - 14:36. So it looks like a cross between the studio and the 2000. Interesting nib shape. It isn't the Z50-style nib that Lamy uses on most of their pens. I think the nib is Z50 compatible. It's only shoulder contour that's different. I'm curious to see more photos of it, especially capped and unposted (since I rarely post my pens). At the moment I can't tell if I like it or not; it seems to hover between interesting and boring. I like both my Studio and my 2000 (both in terms of how they write and look), so it's promising. I reckon that nib would look good on the Studio too. To me, it looks very similar to the Pelikan Pura. Not the clip, but certainly body and nib. Edited by chravagni, 21 May 2017 - 21:37. I like the looks of it. I do agree that it looks like a cross between the Studio and the 2000 but it's better than another Lamy Safari colour, right? The nib design is interesting too. Didn't we have a post here that they were discontinuing EF nibs? But now they're going to issue a new nib design (just the contour is different, but I assume that requires more manufacturing resources than continuing a different tip width)? Edited by antichresis, 23 May 2017 - 09:51. Hero #232 Blue-Black is my Waterman Florida Blue. Your Kilometrage May Vary (#ykmv), a Philippine blawg about ink and fountain pens. They are not discontinuing the Z50 EF. They just don't sell it in the US anymore. They go to Asia now. Edited by christof, 23 May 2017 - 15:58. The similarity is uncanny! Now if it only had a piston filler too. Thanks for the clarification Astron! I got paranoid over the past few months of "discontinuation" rumours we've been hearing from different manufacturers. What is important is the girth of the Aion, especially the grip, and the length of the unposted fountain pen. Pictures, next to Lamy other fountain pens, would be great. Does anyone knows when it will be available to see in Heidelberg, at the flagship store and at various retailer, in Europe, then worldwide? It says Juli on the website. No exact date. This new pen looks very good to me. Most of Lamy's pens (except for the 2000) are too slim for me or have a triangular grip section (Safari) which I don't like at all. The Studio was a nice pen if it hadn't that slippery chrome grip and the bulging clip. You need to try an Imporium - take it you did try a studio ? I got a Scala but was worried about the chrome grip for the same reasons but never found it to be a problem. 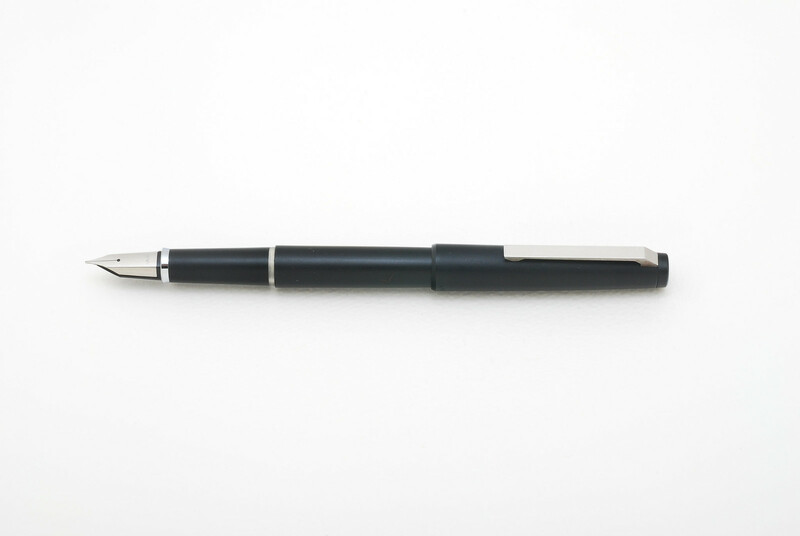 The brushed stainless Studio has a matte black textured grip and is very nice in the hand. I have one and put a gold nib on it and it is glorious to write with. I love the looks of the clip on the Studio but the flaw is that it scratches the surface of the pen. But is a little more 60s flavor than many other (imo) boring minimalist self-consciously arty Lamy designs. 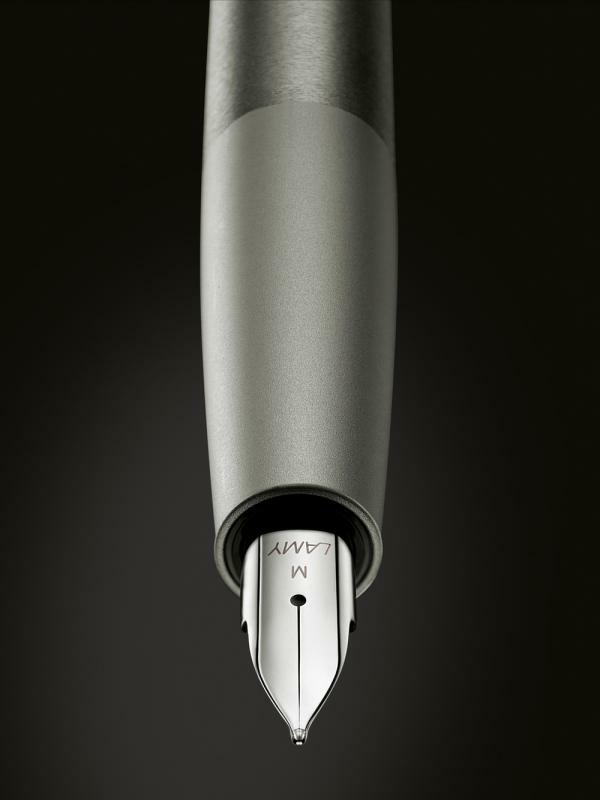 The Lamy Studio in some ways reminds me of the Parker 45. The Profil 80 is pretty cool. I wish this new pen looked even more that model. I like the looks ! I see it as classic, German, utilitarian styling. Piston ? Metallic ? How much ? My wife says, "Boring". I say, "Handsome". How much ? Edited by aucheukyan, 01 June 2017 - 01:12.